Hashtags have become pretty mainstream. Almost everybody uses them and they’ve become a joke meme used to describe the hopelessly internet-obsessed. Yet for all this popularity, few businesses are using hashtags to best advantage. 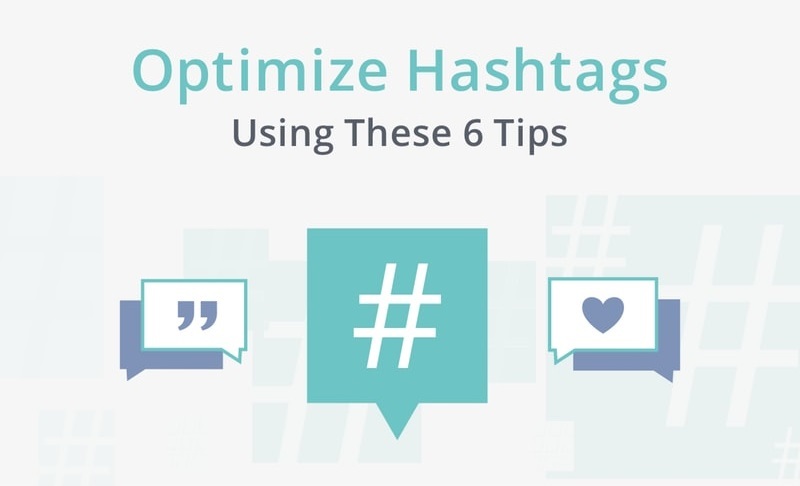 It’s time to learn how to optimize hashtags for your business! Let’s start with the basics, just for clarity’s sake. Hashtags are keywords prefaced by a # — for example, #marketing. On social media sites, they are live links, and clicking on them takes you to a feed of all people using the same hashtag. It’s a natural connection to your core audience. Hashtags are used on nearly every social media network with the notable exception of LinkedIn. In fact, if you want to learn more about hashtag best practices for individual networks, check out our channel best practices for Twitter, Facebook, and Instagram.